t is 1715. Pirates rule the Caribbean and have established a lawless pirate republic. Among these outlaws is a fearsome young captain named Edward Kenway. His exploits earn the respect of pirate legends like Blackbeard, but draw him into an ancient war that may destroy everything the pirates have built. Set sail on the high seas in Assassin's Creed IV: Black Flag, a pirate-filled adventure in the Assassin's Creed saga. Become Edward Kenway, a charismatic yet brutal pirate captain, trained by Assassins. Command your ship, the Jackdaw, and strike fear in all who see her. 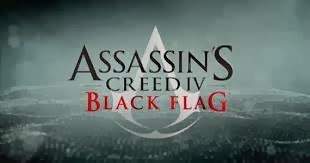 Plunder and pillage to upgrade the Jackdaw with ammunition and equipment needed to fight off enemy ships as you venture out to discover the most diverse Assassin's Creed world ever created. "We all work in the darkness to serve the light"
Assassin's Creed 4 or Assassin's Creed IV: Black Flag, the successor to Assassin's Creed 3, was released on Xbox 360, PlayStation 3 and Wii U on October 29th 2013. It will be released for PlayStation 4 and Xbox One on their respective launch days (PS4: November 29, 2013, Xbox One: November 22, 2013) and PC as well. 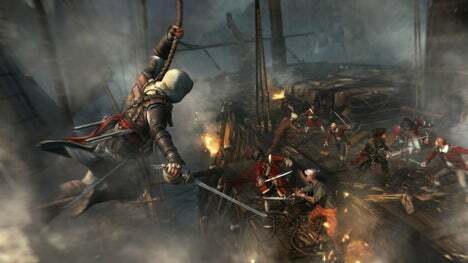 Assassin's Creed 4 takes place in 1715 in the Caribbean, featuring new locations. Assassin's Creed 4 stars a new protagonist, pirate and Assassin named Edward Kenway, grandfather of Connor and father of Haytham Kenway of Assassin's Creed 3. Ubisoft Montreal has traditionally developed Assassin's Creed games, but a new team developed Assassin's Creed 4. Assassin's Creed IV: Black Flag is set in the Caribbean on multiple islands including playable areas in Kingston, Havana and Nassau. The Caribbean ocean is an explorable region via Kenway's ship Jackdaw. Smaller islands and locations can be visited, and underwater locations can be explored for the first time in the Assassin's Creed series. mcn mewa sure ekatama wedada bn..